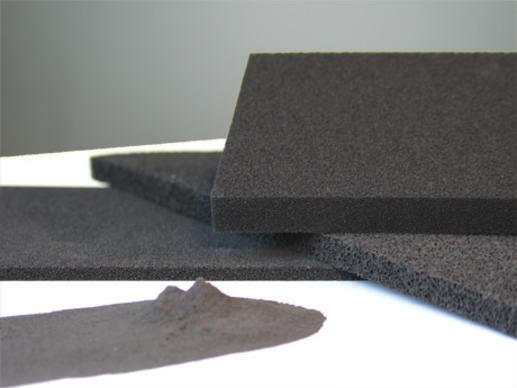 Specialists in reticulation of polyurethane foams, EMW® offers a broad portfolio of foam media including Poret® polyether as well as polyester foams in the pore densities PPI 10, PPI 20, PPI 25, PPI 30, PPI 45, PPI 60 and PPI 80. Our manufacturing facility includes reticulation reactors for roll stock as well as slabstock. Reticulation is a post-foaming treatment which removes pore walls in closed-cell foam, creating an open pore network which permits fluid passage as required in filter media. The pore density, expressed in pores per inch (PPI), is a measure of closeness of neighbouring pores. The pores of a PPI 10 foam are far apart; those of a PPI 80 foam are more closely spaced. Reticulation is carried out in a reactor. The closed-cell foam block or roll is placed in the reactor with a combustible mixture of hydrogen and oxygen which is then pressurized and ignited. The resultant explosion, carried out with controlled intensity, blows out the cell walls without impairing the strand structure or the properties of the filter foam matrix. 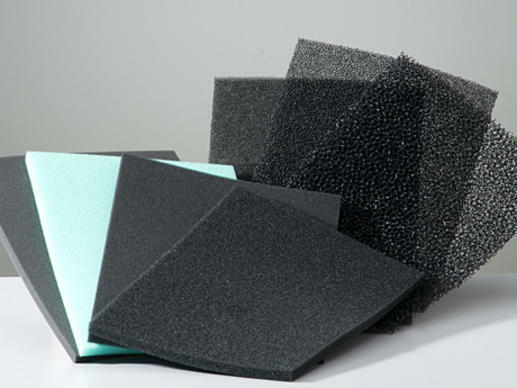 The result is an open-cell foam with the desired pore structure. 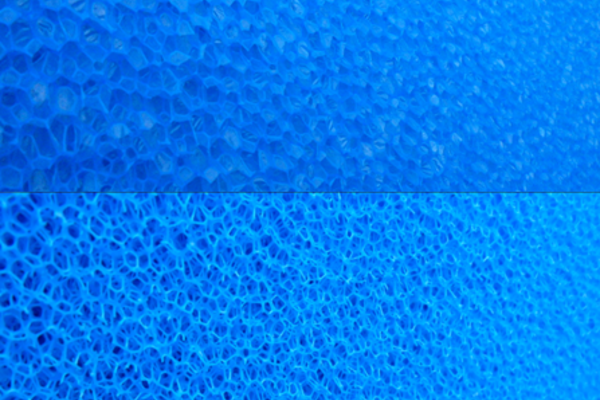 The following magnified view shows closed-cell foam structure and the resultant open-celled foam structure created by reticulation. 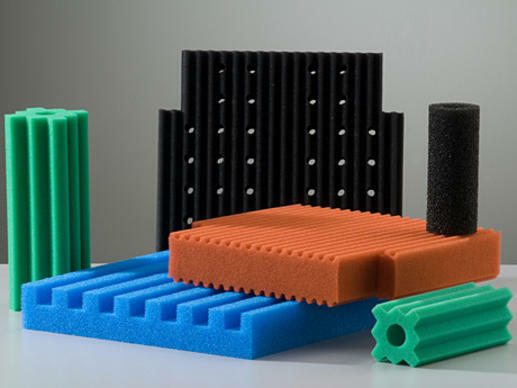 Filter foams perform important tasks in highly diverse application sectors. 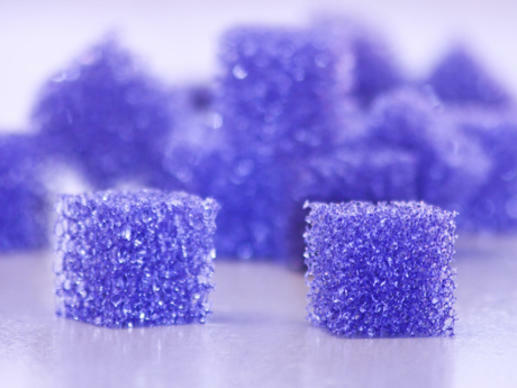 Poret®, for instance, is utilized as a media for mechanical filtration, as a carrier for biological pollutant degradation and as an activated-carbon impregnated adsorption media. Its open-cell pore structure permits free circulation and flow of water, air and other fluids. 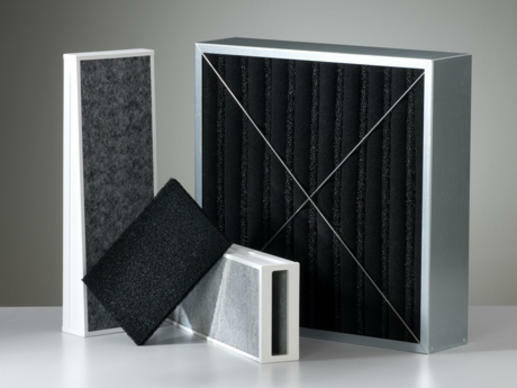 Poret® is used in water filtration, wastewater treatment, exhaust gas treatment and air filtration,as well as in coalescers and oil filters.